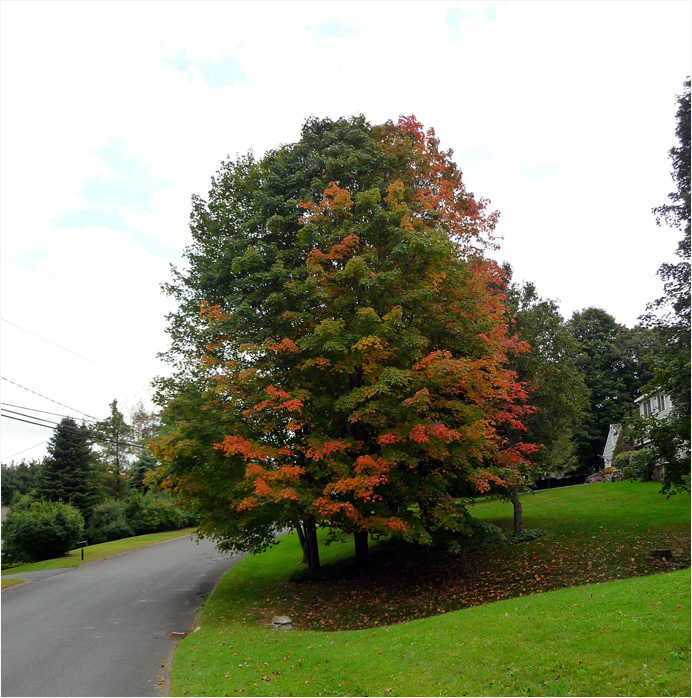 One day later, the maple tree's colors have deepened. (Compare yesterday's photo.) .